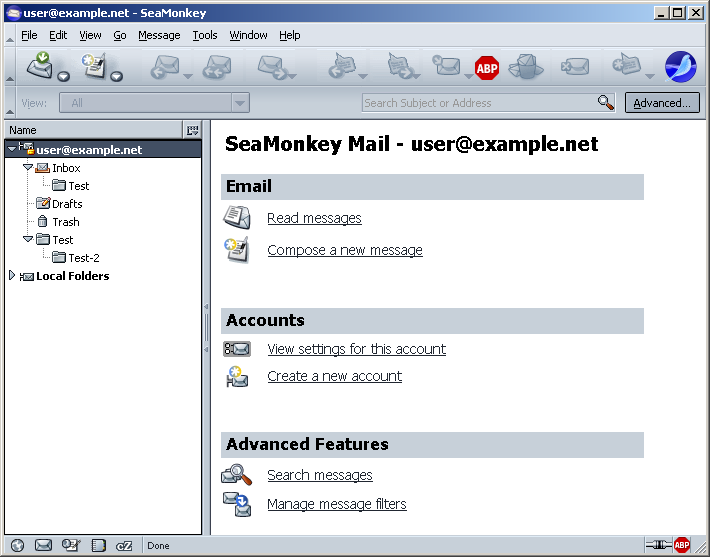 and I downloaded the Latest SEAMONKEY, I transferred over my Bookmarks, Address Book, and Email Folders. Everything works fine, I can Receive / Send emails , auto-complete works with email addresses. this version and this was a setting I used but now I can't find the setting . Any ideas, what do I have to set? See where it reads 'Name' at the top? To the right of that is a little square box - click that to add the Unread/Total/Size columns . thefillanator wrote: I transferred over my Bookmarks, Address Book, and Email Folders. 2) if you want keep new profiles (for some reason) - copy old profiles but you need to edit "profiles.ini" to let SeaMonkey know where to find old profiles. It can be just collapsed/folded (triangle points right). You can set additional columns like Frank Lion wrote but you don't need to because uncollapsed/unfolded folder tree (triangle points down) will show numbers as usual.